Well I’m glad that WordPress developers don’t feel as seedy as I do today! While I’ve been lolling on my couch they have been busy coming up with great new plugins to help internet marketers. Article Forge – If you struggle to write articles then article forge may be useful. It organises your documents into a hierarchy for easy reading. Features include a summary of hte article and table of contents. This would be a useful plugin for people writing techie or scientific articles. The Article Forge WordPress plugin aims to provide a capable facility to aid in the writing, publishing, and maintenance of hierarchical documents for the web. In particular are stories, articles, technical documents and periodicals that have titled sections. Documents are organized such that the head consists of a title and summary (ie. abstract) describing the whole. Beneath this head are the various sections comprising the document with each section consisting of a heading and content. The entire document does not need to be assembled before publishing; sections can be published independently of each other. CSS class tags are exposed for each div in the HTML content providing an easy means for users to specify their own style. In fact, users are encouraged to make their own copy of the css, js, and HTML under the content directory. An option is provided under the Settings page to specify the content directory from which files are served. All .css and .js files under the corresponding directories are automatically included in frontend Article Forge related pages. General commentary, upcoming features, and other WordPress related thought can be found at http://www.bytewisemcu.org/article/article-forge/. Launch Control – is great for those working on a website that still want to generate interest in the site before it goes live. You can put your website in maintenace mode when you are working on it and before it goes live you can display a launch page allowing people to sign up with you. Are you working on a new website and don’t want the public or your users to have access until your masterpiece is complete, but still allow them to register? Yes! Thought so. with a click of a button hide your website when you need to change a few things or run an upgrade, making it only accessible admins. There is also an area to add a custom message which will be shown to the users while your site is down. Users can register and receive their login credentials by email to use later. Drag & Drop Page Layout Builder – this is a plugin that I would love to spend a little time playing with. You can create your own page layout or even theme using the plugin without any coding knowledge. 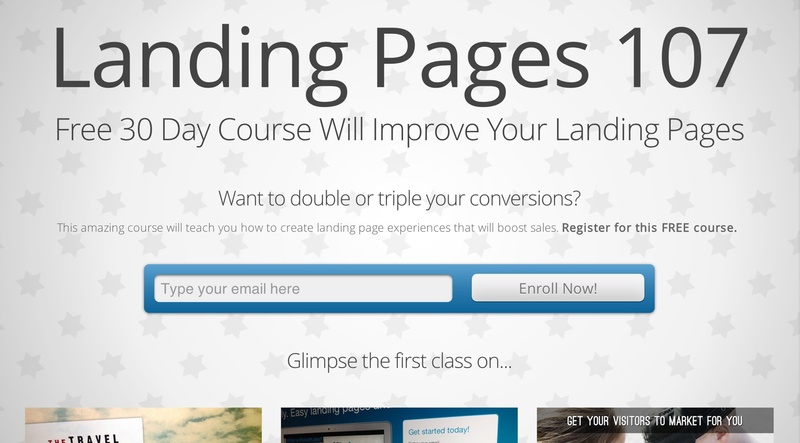 Easy Landing Pages – this is a stylish plugin and it is difficult to believe that it is free (I’ve paid a lot for similar products in the past). Photo Protect – protect your images from copying. This is particularly useful for ecommerce sites, designer and membership sites where you want to protect your assets. Photo Protect adds an invisible layer over your post images to protect them from copying. Visitors trying to save an image will get a blank image instead of your photo. Protects your images. 9 out of 10 visitors won’t be able to download and copy your images. Works in every modern browser. No plugins required! Has no dependencies. Correctly works with every framework your theme may have jQuery, MooTools, ExtJS, GWT, etc. Supports responsive themes. Applies protection in a way both theme and protection layer continue to function properly. Even if your visitor resizes her browser. StudyPress is an elearning authoring tool. With this plugin you can easily create multimedia learning content and publish it as slides in your wordpress pages and posts. It can manage courses, lessons and quizzes. With the help of StudyPress you can easily turns your WordPress into a powerfull learning management system. Personally, I just prefer using slideshare myself and embedding it on the site. Contest Hopper – this little plugin helps you create contests on your site. I would have liked to see some screenshots of the plugin in action and perhaps a demo site. Hopefully they are coming soon. My Book Table – helps you to create effective book pages? Although I’m feeling a little seedy today I think the developers could have put a little more information into what this plugin does. Forget everything you think you know about selling your book online. We’re changing it. You won’t need SSL certificates, shopping carts, or piles of books in your basement. All you’ll need is a WordPress website. Oh, and a book. MyBookTable allows you to have your own bookstore that links to online bookstores where visitors can buy the book. You can find a live demo of MyBookTable in action here. With a simple interface, help text and tutorial videos, MyBookTable is designed with the novice user in mind. In version 2.0 we made MyBookTable even easier to use with usability improvements throughout the plugin. Easily control which books appear at the top of your book table page with a simple drag-and-drop interface. MyBookTable allows you to easily make great-looking book pages. Whether you want a list of books or a individual book page, MyBookTable gives you maximum control with minimum hassle. MyBookTable 3 will now officially come with Kindle Instant Preview. Readers can read the first few pages of your Kindle book without ever having to leave your book page or download a PDF. MyBookTable makes it easy for visitors to like and share your books on social media sites like Facebook, Twitter and Google+. It also works with plugins like ShareThis. Create a button that points to any site on the web. You have full control over both the text and the link. MyBookTable is partnering with Geniuslink to add link localization to MyBookTable. This means readers in England will automatically be sent to Amazon.co.uk and Canadian readers can click the same button to go to Amazon.ca. MyBookTable will come with an audio player so readers can sample your audiobook right on the book page. We are also adding fields for Narrator and Audiobook Price. This user-requested feature will be a huge time saver for authors with multiple websites. With MyBookTable 2.0 you can export your books from one website and import them into another. Not every author writes children’s books. But those that do want an Illustrator Field so they can give credit to the illustrator of their books. Users will be able to click on an illustrator’s name to see all the books by that illustrator. It turns out that not everyone who uses MyBookTable is an author. Readers use MyBookTable to post reviews of books they’ve read. Now MyBookTable has a Star Rating feature so that those book reviewers can rate the books they are reviewing. MyBookTable 3 has a special section for you to show off endorsements, blurbs, and accolades. Book blurbs can now look better than ever before. Customize your store by showing some of the buy buttons as a bulleted list. Also, choose from multiple buy button color schemes. Have a a lot of buy buttons cluttering up your book pages? No worries. MyBookTable 2.0 allows you to show a single “buy now” button that opens a shadow box with all your buy buttons. Feature a book on your sidebar with just a few clicks. You can even add multiple books by adding multiple widgets. If your WordPress theme is mobile responsive, MyBookTable will react similarly, delivering maximum compatibility for visitors on phones and tablets. Do you want to sell books by other authors? MyBookTable now has a “Recommended Books” tag out of the box so you can sell not only your books but other authors’ books as well. Having a search-optimized book page may seem small, but this option makes a huge difference in how many people find your book. Most authors cram all their books onto one page. With so many titles per page, no one book can rank or get coveted Google juice. MyBookTable allows you to create a page for each book, as well as a page with all books listed, so you get the best of both worlds. Edit one and it updates the other. This gives you a much better chance of ranking higher when someone searches for one of your titles. If you don’t currently use an SEO plugin, MyBookTable provides meta titles and descriptions as if you did, complete with optimized defaults in case you don’t want to bother optimizing it yourself. MyBookTable integrates with popular SEO plugins like WordPress SEO by Yoast and Scribe SEO. If you use one of these plugins, you get full access to their power. MyBookTable has built-in semantic markup, giving you the edge on search engines like Google and social networks like Facebook. We do all the heavy lifting for you, so your pages are naturally searchable. This should improve Search Engine Optimization and social optimization. MyBookTable has deep integration with the world’s most popular social network for readers. MBT shows your GoodReads reviews, and it provides a button that allows users to add your book to their GoodReads BookShelf. MyBookTable has built-in tutorial videos showing you how to use the plugin for maximum effect. With thousands of WordPress themes in existence, we can’t guarantee that MBT will work with every theme. So we have created a compatibility mode that allows for maximum compatibility with your theme. MyBookTable integrates with all the major theme frameworks, including Genesis, Woo Canvas, most Elegant Themes, and many Theme Forest Themes. Thesis is the only framework known not to work. MBT adds an icon to the WordPress WYSIWYG Editor that allows you to add MyBookTable shortcodes to your site with just a couple of clicks. We have added breadcrumbs, which will not only make your book pages easier to use for your visitors, but will also improve search engine optimization. These breadcrumbs are fully compatible with the Genesis or Woo Canvas breadcrumb systems. MyBookTable can import books from Michael Hyatt’s GetNoticed! theme. MyBookTable and GetNoticed! now work together seamlessly. MyBookTable gives you several cool book widgets. Including a featured book widget, genre widget, series widget, and more! Amazon, BN.com, and CBD.com all offer affiliate programs that help you supplement your income as an author. You won’t have to sell your book out of your garage to make more money. It also integrates seamlessly with leading SEO Plugins like Yoast and Scribe. MyBookTable 3 can now create landing pages for your books. Landing Page Mode is a total redesign of how a book page looks. It must be seen to be believed. 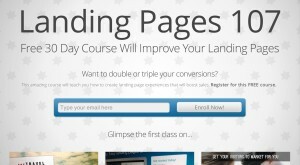 This landing page can be used to power a whole website for your book title or just to make your book pages look better. MyBookTable Pro now comes with a brand new section where you can add resources for reading clubs and book groups. The more resources you provide book clubs, the more they will want to read your book. Show your books in a responsive grid view. This is a great option for sites with a lot of books to show. Allow visitors to sign up for book updates by subscribing to your MailChimp list. This button can act as a Pre-Pre-Order button for books that are still a work in process. Show off your Amazon reviews right there on your book pages. Want to add 100 books? No problem. Just paste the ISBN numbers into MyBookTable and let the plugin create the book pages for you. This is a huge timesaver. MyBookTable can also import books from a Universal Information Exchange Environment (UIEE) file. ZonDealNotify – is another “Amazon” plugin. THe plugin display a pop up of the Amazon Goldbox Deal of the day on your site. EZReview Box – this plugin helps you create layouts for custom reviews. In addition to creating beautiful layouts, it also creates widget reviews and has rich snippets intergration. There have been a few themes released this week for specific niche industries. I don’t propose to review them here because a) when people buy the same themes for a niche you end up in a flooded niche and b) niche specific themes while they make life easier to create sites usually it is short lived. The reason it is short lived is that clients often want customizations that cannot be easily incorporated into the layout of a niche specific theme. The theme may have earned you a sale …but customizing it to meet clients standards usually ends up with hair pulling. Rather than buying a lot of niche specific themes I think it’s far easier to work with one framework and custom create skins to individually suit clients.